There are reasons that Jonathan and I found each other. It is not that he is handy and would help me build my homesteading related dreams. Because he most decidedly is not. Handy. I would like to think that I add a bit of planning, organization, and stability to his sometimes disorderly mind. But this seems a small contribution to the things he has brought into my life. He is a New Yorker, sociable, warm, and generous. If you can't be handsome you might as well be handy. Comfortable entering a room of strangers, quickly taking a grand and gallant command of the room. Suffice it to say, when we first met in college and he and I would walk around campus together, young women would actually hang out of their dorm windows and scream, It's the Reflex Man! While their roomates fanned them so they would be less likely to swoon. Since we are a few years out from his heyday, I will 'splain. He was a bit famous for his solo in his group's version of The Reflex by Duran Duran. Awesome. Ta na na na. Me? Not so much. Though we were both in a cappella groups, my sojourns around campus were met with a bit less...enthusiasm. This weekend was a perfect example of our yin and yang. 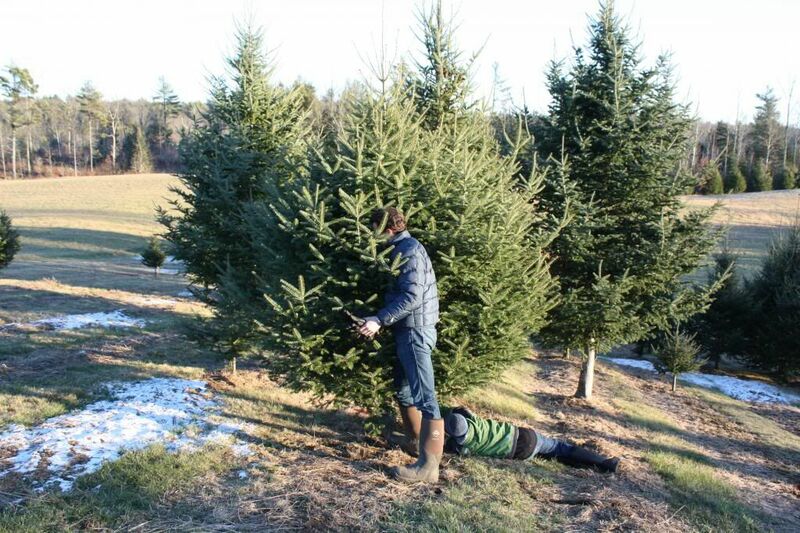 We returned once again, I do believe it has been five years now, to our amazing cut your own Christmas tree farm, McNeally's Farm, in nearby Gorham. We so love this place that it was the subject of our Christmas card last year. One of the things that speaks to me, that brings us back each year since we found it, by mistake really, is that this farm allows me to fulfill a family tradition that my father has instilled in me. 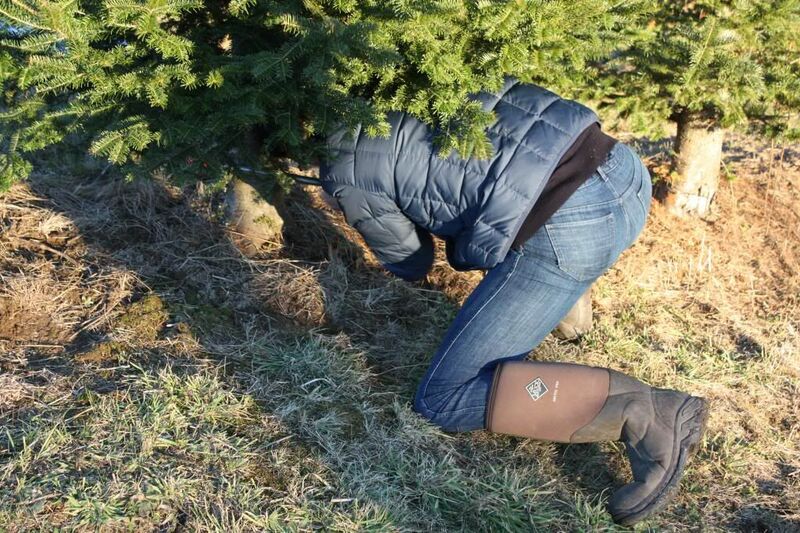 When I was a child, each Christmas season, we would spend the good part of a Sunday afternoon looking for our Christmas tree. And by good part of the afternoon, I mean we would leave church and spend all afternoon, not being allowed to stop for lunch until we had completed our task, until it was dark sometimes. Driving from parking lot to parking lot, returning to some lots several times. Learning my independence and comfort speaking to strangers when I was left standing and holding onto a tree that my father was considering but was off comparing it to the one he saw a few minutes ago in another aisle. 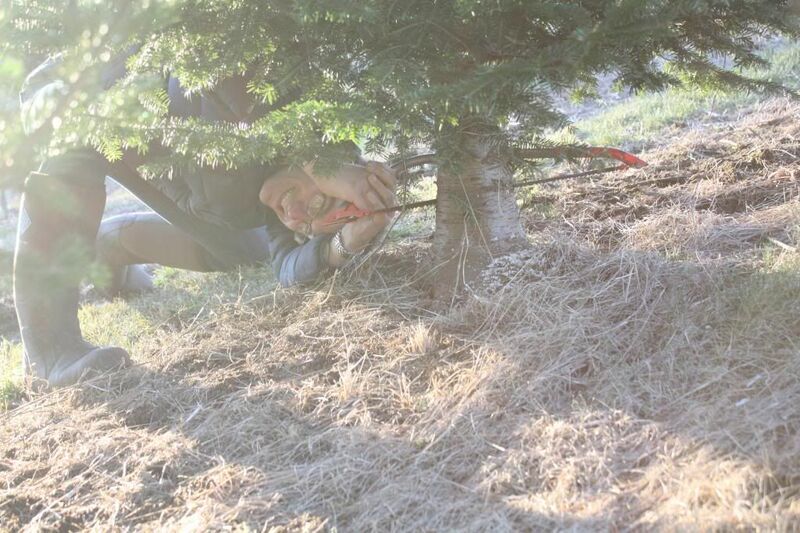 Learning to assert myself, and to protect that potential tree with my life. Making fun of his perfectionism, chiding him the whole while, and yet loving it all the same, this hunt. And expecting, hoping, looking forward to doing it even in the years when my brother and I were away in college. 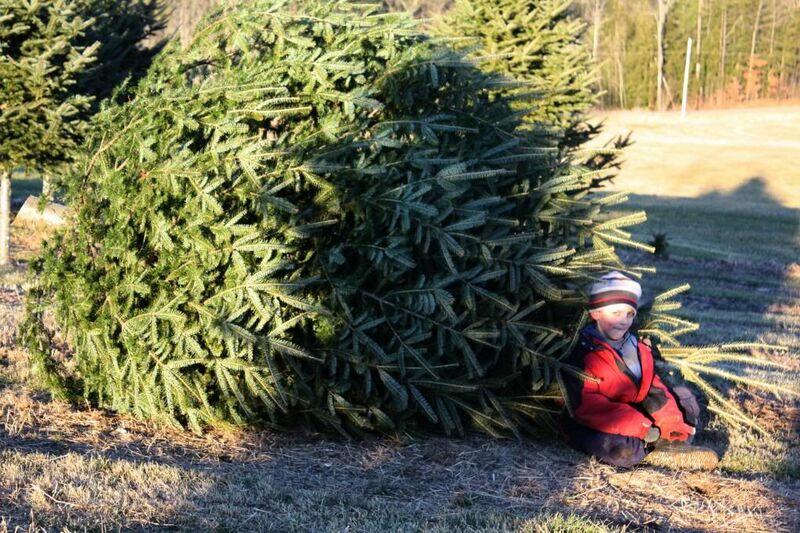 I remember one year that my mother and brother found a tree together and came home with it. Without me. It was a perfectly good tree, mind you, they have very well developed taste, but there was no story that came along with it. And I have to admit. I resented that tree. A little bit. 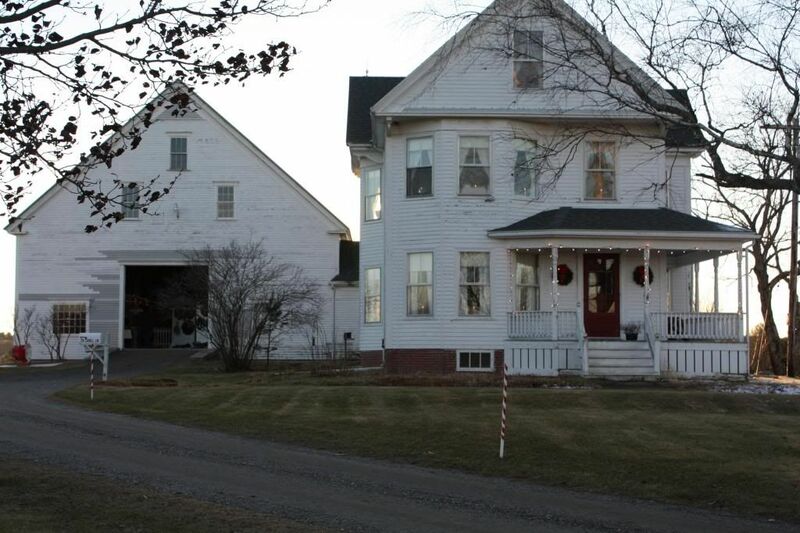 And, almost as an apology for his exacting ways, we usually ended the trip, the experience, with a box of Dunkin' Donuts and some hot chocolate, as the parking lots we tended to visit all seemed to be centered near the one Dunkin' Donuts in the small city near my home town. And so, despite my eye rolling and adolescent attitude back then, I am a tree connoisseur (and a doughnut lover as well -- though my taste now tends to be more foodie). I do love me the perfect tree. 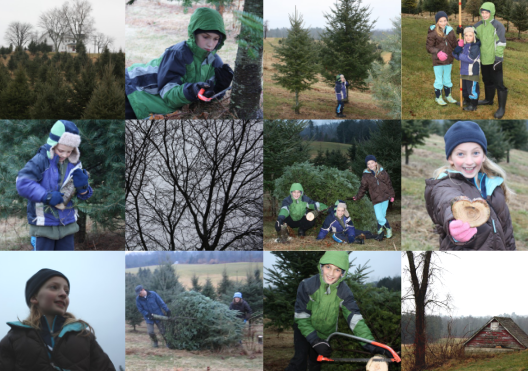 And even more, I love the tree search. And McNeally's farm allows for the perfect search. It is absolutely gorgeous there. 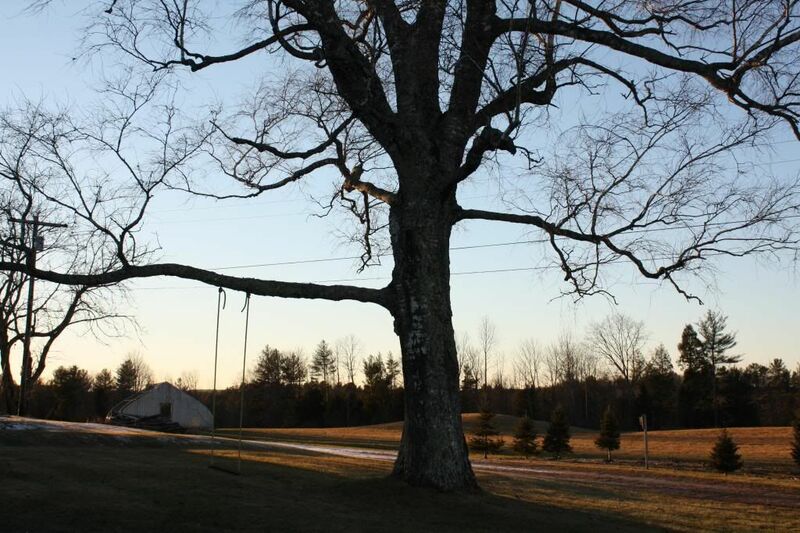 And the best part is that Mrs. McNeally loves a good natural state unpruned chubby tree as much as I do. I do believe they may leave a few unpruned for us each year to choose from. This year, upon arriving at the farm, Jonathan went into the barn to fetch a saw and spoke with the McNeally family. Are you the family that sent us the Christmas card last year? Turns out, Mrs. McNeally had been unwell this past winter, and had had our card near her all winter long. I'm not a hugger, she told him. And then hugged him warmly. See, this is where Jonathan and I are not similar. While I was out on the hillside watching hawks and hunting the fattest most ridiculous, most likely to draw gasps as soon as anyone enters our family room and sees its sheer bulk tree, he was chatting it up with some very lovely people in the barn. 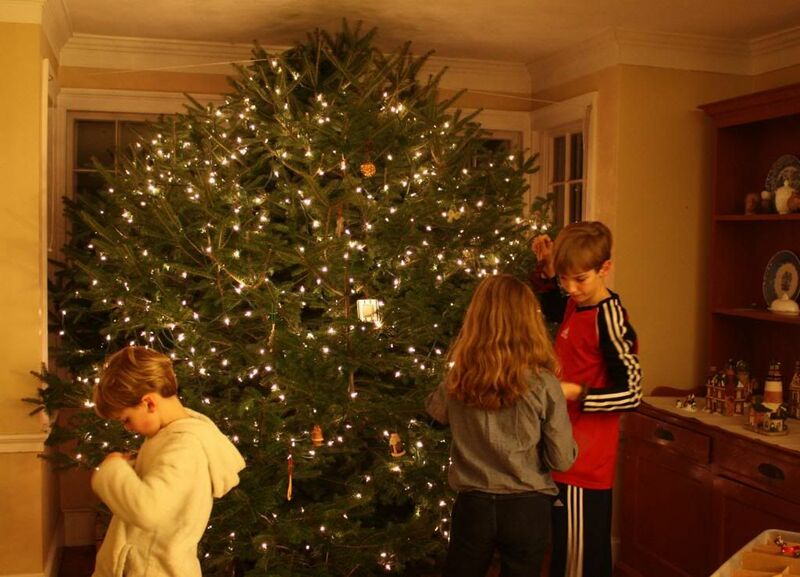 This year, it did not take us long to find the perfect tree. Because really, once you see this one, there is really no need to search further. I am not sure who is looking better here, the tree or my husband. I mean, look at this former New Yorker. 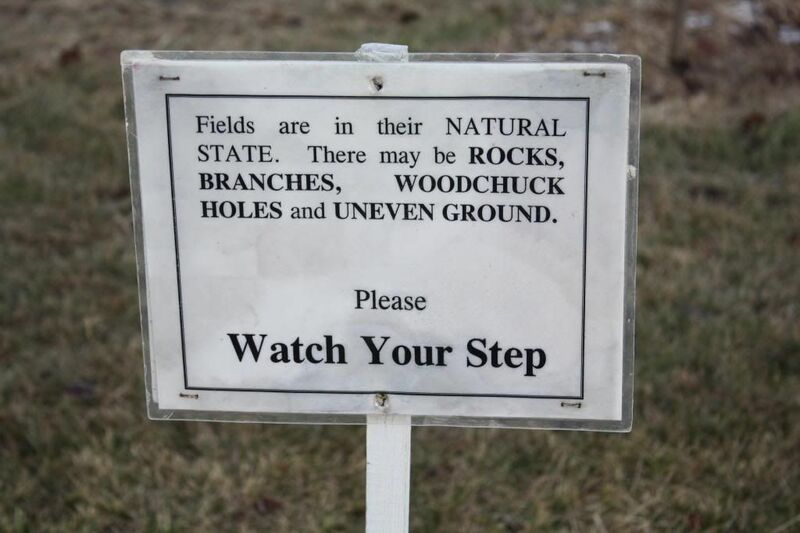 Muck Boots. An LL Bean parka. And a saw? And this year, he even remembered something to tie the tree to the roof. Ahem. As weepy as I can get as I look at the changing faces and bodies of my three children over the years of our Christmas cards, I have to say, there is one very good thing about the growing children. Nicholas? Actually quite helpful. And strong. And he offered to help Jonathan drag the beast up the hill to the car this year. While Jonathan went to bring our car closer, I chatted with Dave, the McNeally's son in law. We have a comfortable I see you once a year and I gush about how much we love this farm kind of relationship. 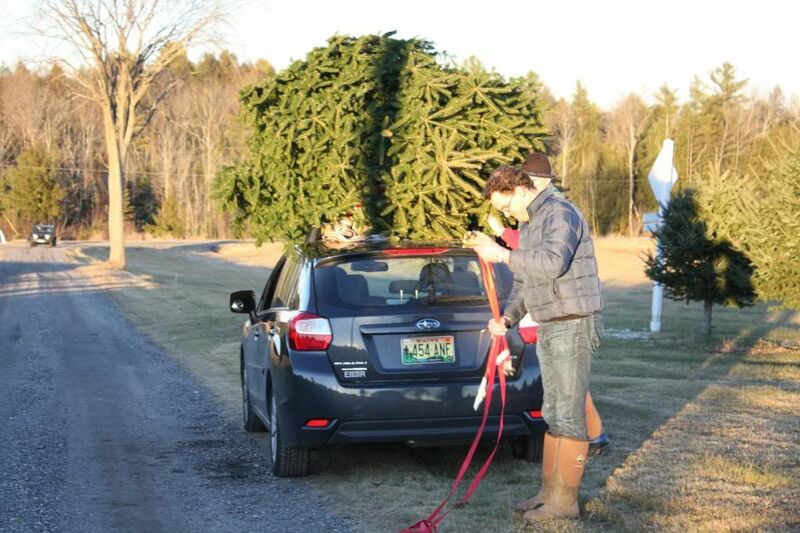 And he offered to help us tie the tree to the top of the car. I, traditional not wanting to trouble anyone New Englander, thanked him for offering but told him we would be just fine. He raised an eyebrow at the girth of our recently felled tree and said okay (he is a true Mainer, strongly and quietly opinionated). And walked off to help someone else. 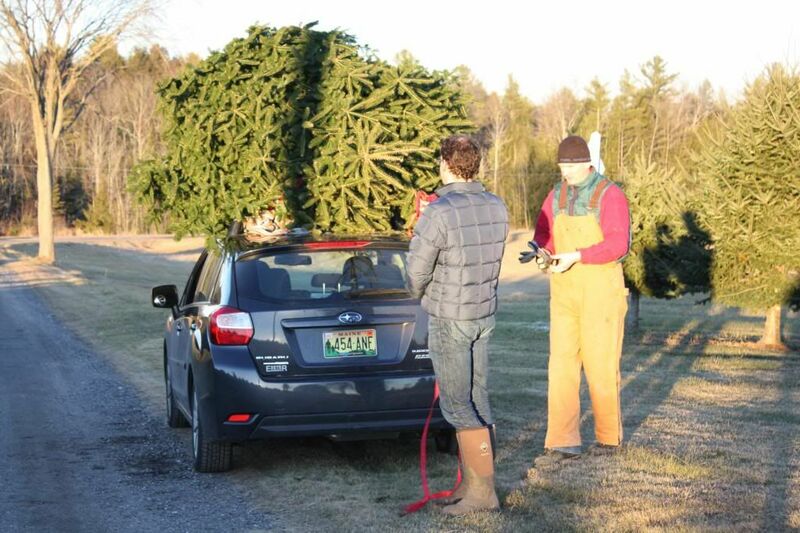 Jonathan, social butterfly, came back with the car and went and retrieved the person, Dave, who was really our only hope of getting the tree home in any way other than dragging it by a dog leash off the back bumper. And then I, hands freed up, wandered off to take pictures. 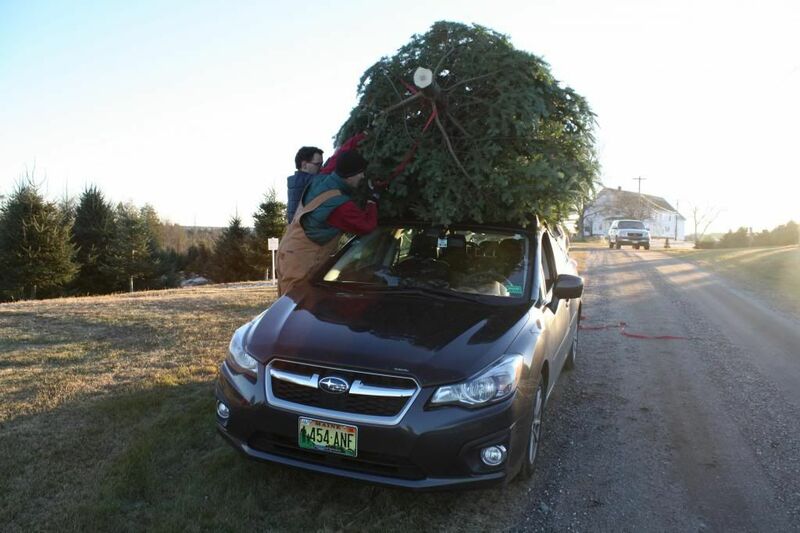 And Jonathan proceeded to chat it up with Dave while they strapped that beautiful tree to the top of our car. I was far enough away that I did not hear what was being said. Jonathan can conversate his way out of a paper bag. Or while his face is buried in a fluffy tree. So I was not surprised to see them chatting away while they worked the strappage. Note: While Jonathan is having a conversation with a human? I am taking pictures of signs that amuse me. I must interrupt even before I begin. 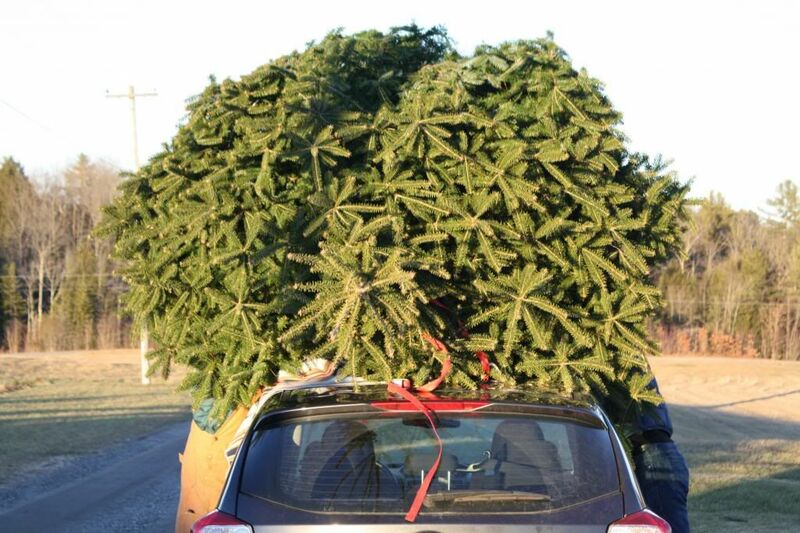 Dave had us take the tree off the car and start again. Wrap the straps around the trunk first, while it is still on the ground. Ah. Smart man. So, apparently Dave quipped: You aren't headed to the highway, are you? Jonathan joked: Oh, no. Just taking it up to Aroostook County. Dave: Hah! But it's funny you should say that. I live in New Sweden and help out my in-laws here at the farm on busy weekends. Jonathan: I've just been reading about the growing Amish community up there. Dave: Yup. We've been talking a lot about that at work. That area doesn't seem to be drawing as much electricity as it has in the past and we've been speculating that it's due to their expanding presence. Jonathan: Really? What do you do for a living? Dave: I'm a lineman for Maine Public Service. Jonathan: Wow! What a coincidence. Rebecca's grandfather was the president of the company in the 50s and 60s. Dave: [Not knowing my family name] Her grandfather was C. Hazen Stetson? Jonathan: [After having scraped his jaw off floor] Yes! That's amazing you know who he is! Dave: Oh, yes. Were you at the dedication? Jonathan: [Masking further shock] No, what dedication? Dave: Why the new beautiful main conference room at our corporate headquarters was named in his honor last summer when we consolidated and renovated our offices. Jonathan: [Stunned briefly into uncharacteristic silence] That's wonderful. I don't think my father in law knows about that. I'll have to tell him. 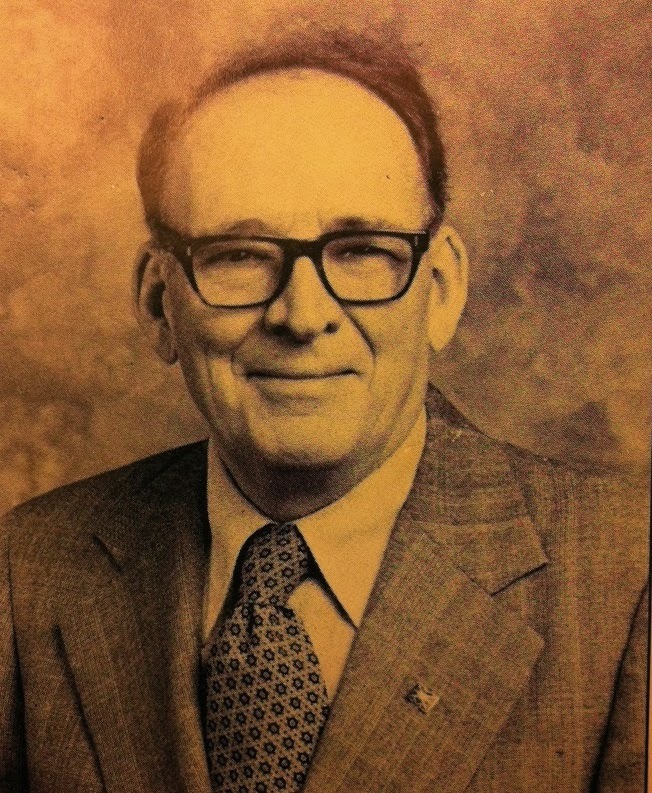 My grandfather, C. Hazen "Stet" Stetson, died more than 25 years ago and was President of Maine Public Service (MPS) from 1956-1968. Yes, 1968. As in the year Kennedy and King were assassinated. He was an amazing man. He was a strong presence in my childhood and he still is. He designed and built the camp where we spend our summers (with some help from my father). His building, his handwriting on the rafters, his stories, his tools still surround me, and my family, when we are there. Dave: Did you know he wrote a wonderful book about the history of Maine Public Service? It's called From Logs to Electricity. Every employee of the company has a copy. It often gets reprinted. 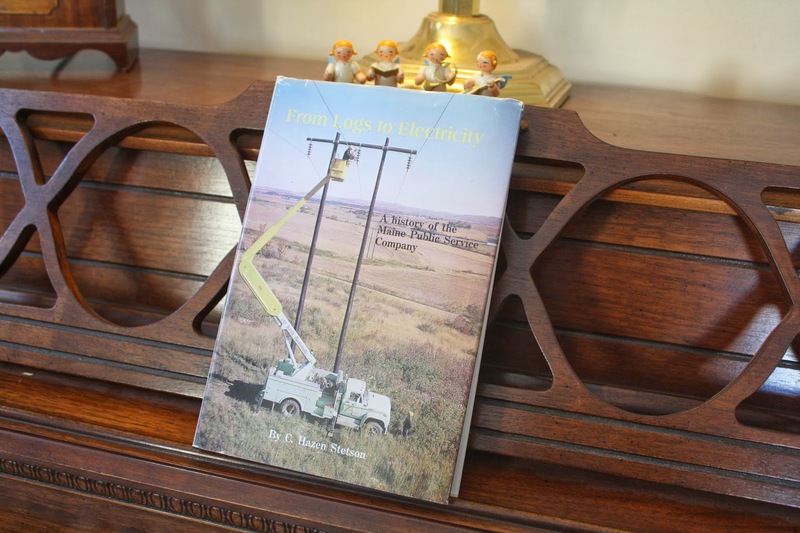 We've all read it at MPS to better understand the company's roots. You mean the book that we have on our piano, the one my family all thought we were likely the only ones ever to have read? My grandfather also loved to share a good story. 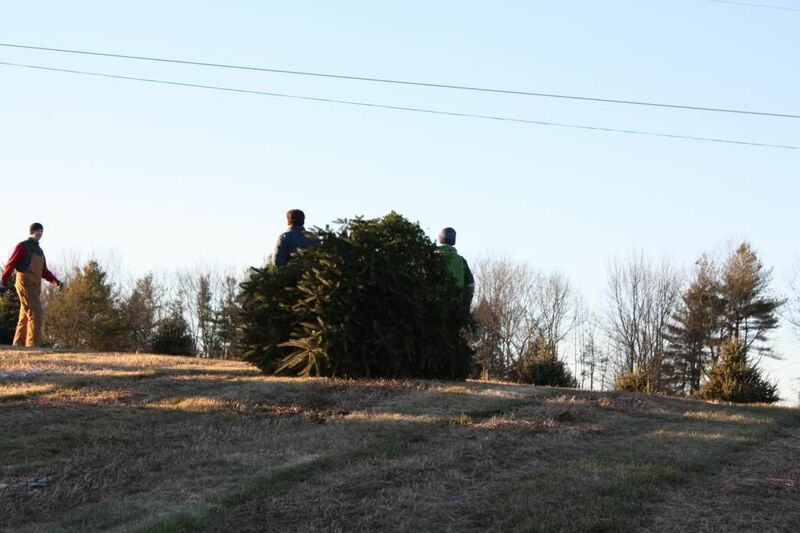 So, though our tree hunt was relatively uneventful, and quick, at least for us, our tree still came home with a story. One that we have passed on to my father and his sisters. And that, the power of chatting, is one of the many reasons I am fortunate to have Jonathan in my life. I have married well, despite the fact that he will always be from away and our children, even Elliott who was born here, will never be considered Mainers. Just because a cat has kittens in the oven doesn't make them biscuits. I can almost forgive him that this year he left the carefully prepared (by me) thermos of hot chocolate (marshmallows included) in our barn. He set the thermos down while he was searching for the straps he so proudly remembered. 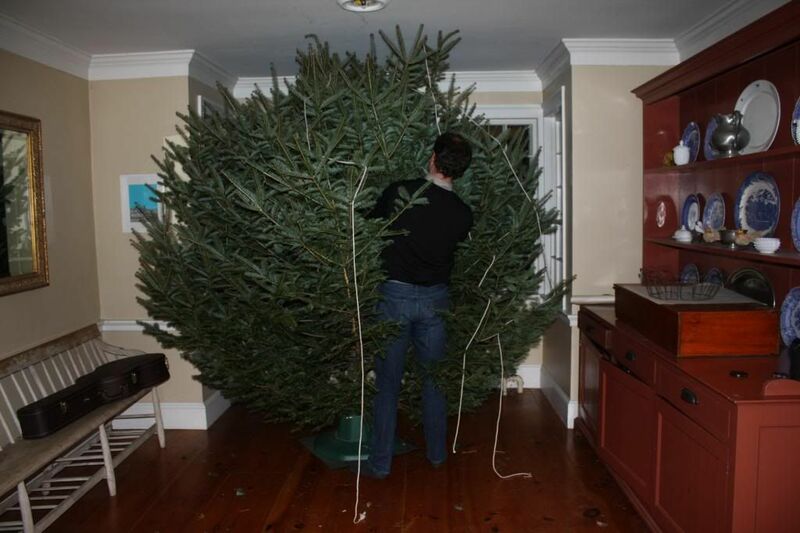 Because he is almost as good at selecting a tree, with a story, as my father.